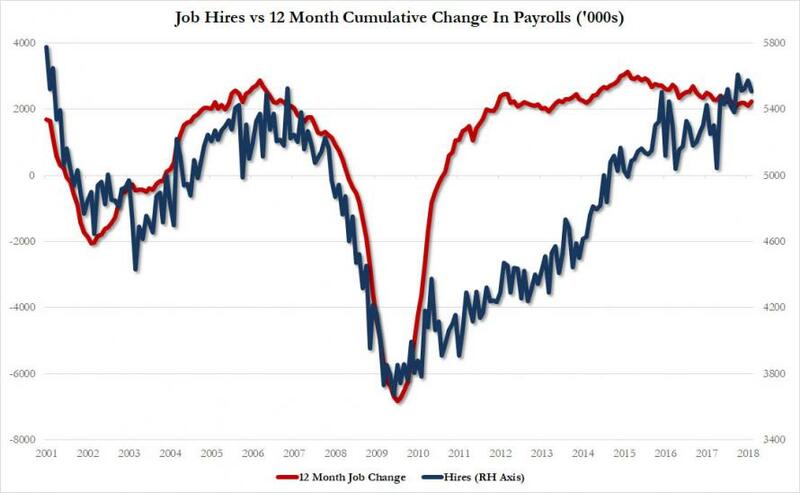 One month after the BLS reported that according to last month’s JOLTS survey, the number of job openings soared from 5.667 million, a six-month low which spooked analysts into wondering if the labor market is peaking, to 6.312 million, a 645,000 monthly increase and the second biggest monthly jump on record, the latest, just released JOLTS report predictably showed a sharp contraction, as the number of job openings dropped from a downward revised 6.228 million to 6.024 million, a drop of 176K, as the series becomes increasingly volatile. private and was little changed for government. 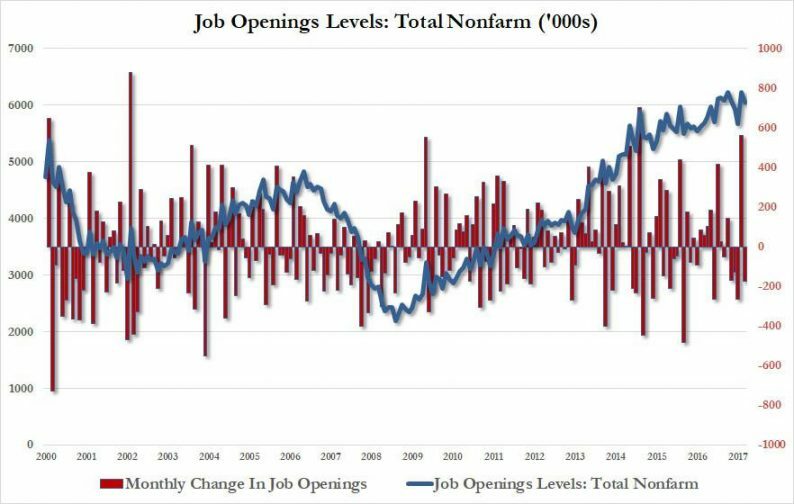 Job openings increased in a handful of industries, including finance and insurance (+69,000) and state and local government education (+31,000); openings decreased in a greater number of industries with the largest decreases being in accommodation and food services (-91,000), construction (-56,000), and wholesale trade (-38,000). The number of job openings decreased most in the West region. number of hires was little changed for total private and for government. Hires decreased in educational services (-48,000). The number of hires was little changed in all four regions.